Adhesive, magnetic and clip-on backing. 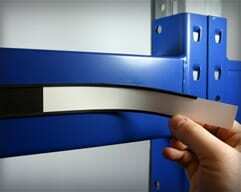 Barcode tags fit within the holder profiles and can be slid along the rack beam or shelf face with relative ease. Tickets are held securely and with several designs, they are protected from falling moisture, dust and debris. 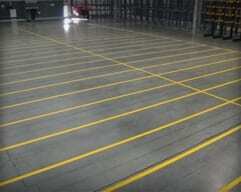 This is often due to the SKU size changing, product reference labels becoming defunct and/or information updates. 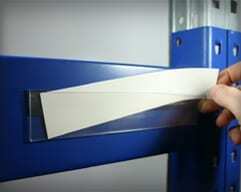 We offer an extensive range of label holder designs, material types and backings to help achieve customer needs and use. 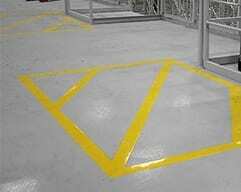 Adhesive options are the most popular and are available in a range of profiles with specific applications, making them unique and high performing. Typically ticket holders are flat, sitting almost flush within the shelf or rack face, helping to minimize impact damage. We also offer angled, clip-on, flush, magnetic and backing free options. 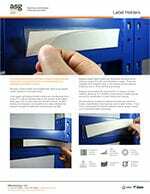 Document wallets are a popular item used in storage and distribution center environments. Larger format displays make them easy to read and can be used to provide product images, pick notices, and to show closed locations. 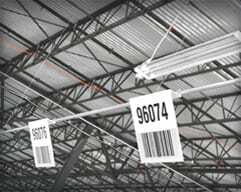 We supply barcode compatible products, which is an important aspect for ASG Services as we are a leading warehouse barcode manufacturer. 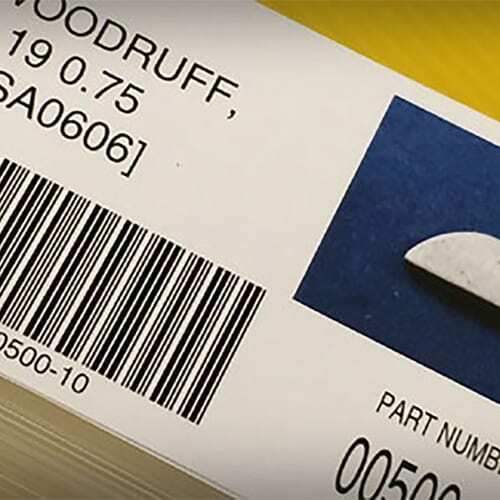 We often provide barcodes and tags in addition to the ticket holders as well as barcode signs helping supply all storage identification product needs. 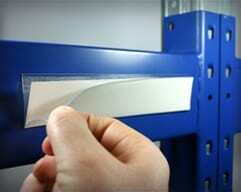 Permanent adhesive, removable self adhesive, magnetic and hook & loop backings are available giving added flexibility. 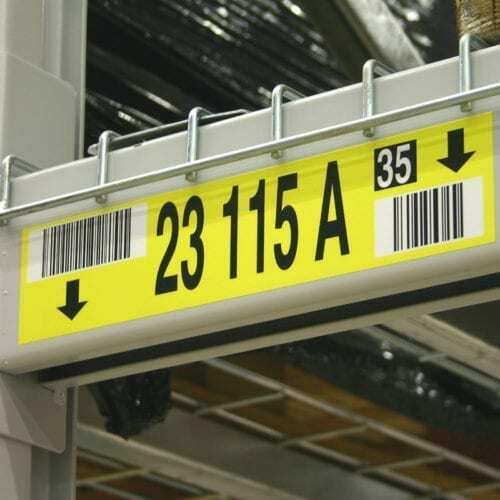 It is not always advisable to have movable label holders, however if the rack or shelf systems are temporary or frequently reconfigured, they are ideal. We offer a range of heights in each design and all are available to specific lengths for custom applications or from stock sizes. 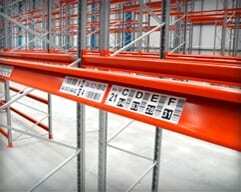 As with all products supplied by ASG Services, our fully trained and insured installation teams are experienced and professional installers of all warehouse ID and label holder products. 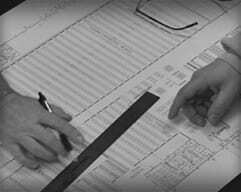 Ticket holders typically form part of larger projects, however we do provide this additional service for single product type orders. Feel free to call and ask the questions that help with your decisions. Drop us an email with the detail you need and we'll respond with all the information we can to help. 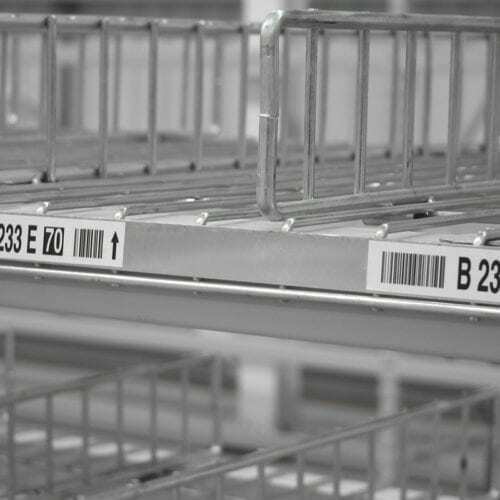 ASG Services provide an online store where all of our standard products can be purchased with ease, visit now to see the entire range of warehouse label holders.